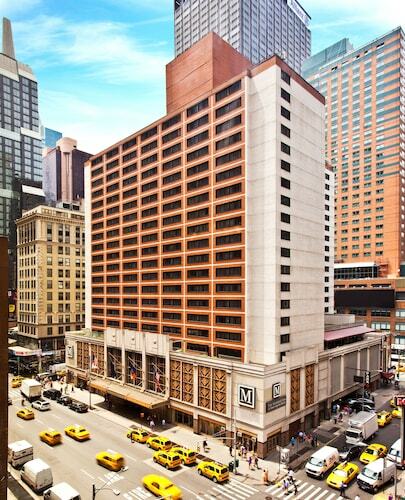 GREAT location, easy subway access, walkable to Penn Station, central location on Manhattan. 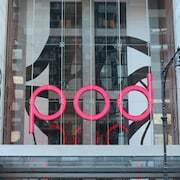 The vicinity of restaurants of all price ranges and of grocery stores was much appreciated, as was the nearness of both bus and metro stations and the very central location in walking distance to some of the greatest sights of Manhattan and the UN Headquarters. 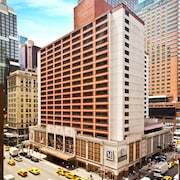 If your looking for the best deal in Manhattan with the best customer service, this is your hotel. They do offer free shuttle service to the ferry (which is free and gets to Manhattan). Where to find Manhattan hotels near an airport? 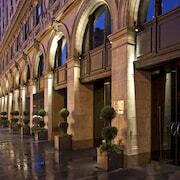 How can I find hotels in different Manhattan neighborhoods? 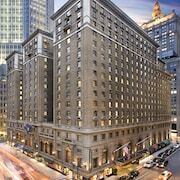 Where can I find hotels in Manhattan that are near tourist attractions? It’s no wonder why the whole world loves New York. Seeing the sparkling streets of Manhattan in person will give you a million more reasons to love the Big Apple. The buildings making up the city’s skyline are the stuff dreams are made of. Visions of the Empire State Building, Saint Patrick’s Cathedral, and the Statue of Liberty are sewn into the fabric of contemporary culture. New York claims the title as the most populous city in the United States. In addition, it is globally renowned as one of the cultural capitals of the entire world. Taking a tour of Manhattan is like touring the collective heart of all types of people world over. When you’re ready to rest after a long day in the City That Never Sleeps, Expedia has amazing Manhattan hotel deals to share with you. Once you’re all checked in to your hotel, it’s time to explore. Put your adventure cap on and see what the city has to offer! From good eats to thrilling excursions, there are tons of things to do in Manhattan, and you can book them all right here on Expedia. Waves of Irish, Italian, and Chinese immigrants arriving in the United States in the 1800s helped shape the cultural and culinary attributes still present in the city. Today, people from every corner of the world still come here to find success. People aren’t exaggerating when they talk about the city’s fast pace. Whether you’re walking among slick suits on Wall Street, feeding pigeons in Central Park, or buying souvenirs near Rockefeller Center, the people around you won’t skip a beat. 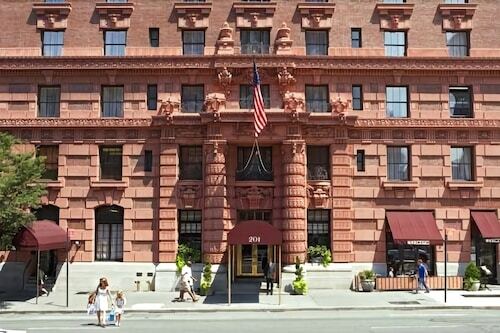 Hotels in Manhattan offer views of quaint brownstones, iconic skyscrapers, and seas of yellow taxis. Best of all, you won’t be able to go more than a few feet without bumping into some of the trendiest and best restaurants in the world. If a type of cuisine exists, it exists on the streets of Manhattan. 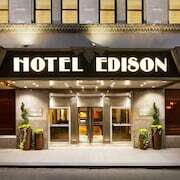 For those looking to stay at cheap hotels in Manhattan, our deals can get you great rooms near all the most popular landmarks and eateries of the neighborhood. As is typical of the Northeast, Manhattan enjoys four robust seasons. The famous Christmas tree at Rockefeller Center gives Manhattan a particular charm in the winter. The spring and fall seasons offer tourists mild temperatures. Manhattan summers are full of hot fashions, live music, and idyllic afternoons in public parks. There’s never a bad season to experience an excellent vacation in Manhattan. Get your camera ready for visits to Time’s Square, Grand Central Station, and the Metropolitan Museum of Art. You won’t be allowed to bring your camera inside the theatre, but a visit to a Broadway show is also a must. When it’s time to refuel, Chinatown is the perfect place to grab lunch and shop from an endless array of vendors. If you prefer Italian food, you don't need to be a wise guy to enjoy the pleasure of grabbing some cannoli in Little Italy. 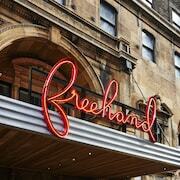 When you catch sight of our deals on hotels, you'll feel wise for booking your New York trip with Expedia. 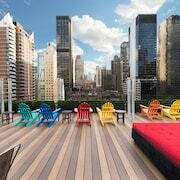 Great Manhattan vacations are made at Expedia.ca. 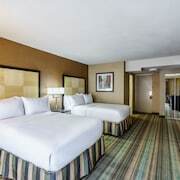 We can help you grab discounts on all types of hotels, including cheap rates on family-friendly hotels and top business hotels in Manhattan. When you take advantage of our low rates on flights to Manhattan, we’ll also help you book the lowest rates on rental cars at JFK at the same time. Make today the day you decide to make Manhattan yours. 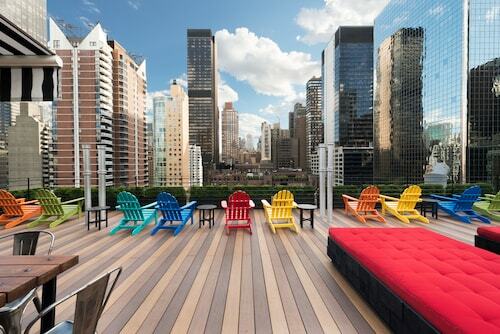 What are the most popular Manhattan hotels? 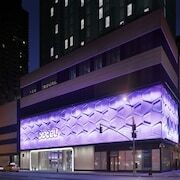 Are there hotels in other cities near Manhattan? 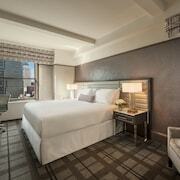 What other types of accommodations are available in Manhattan? Explore Manhattan with Expedia.ca’s Travel Guides to find the best flights, cars, holiday packages and more!